Get 1 FREE Ornament with $65 Purchase! Get 2 FREE Ornaments with $95 Purchase! Get 3 FREE Ornaments with $120 Purchase! *BAUBLE offer is valid in USA only, December 3, 2018 - December 6, 2018 only, while supplies last. Must reach each threshold to qualify for redeeming 1 ornament with any $65, 2 with any $95, 3 with any $120 threshold excluding sale items, taxes, and shipping. 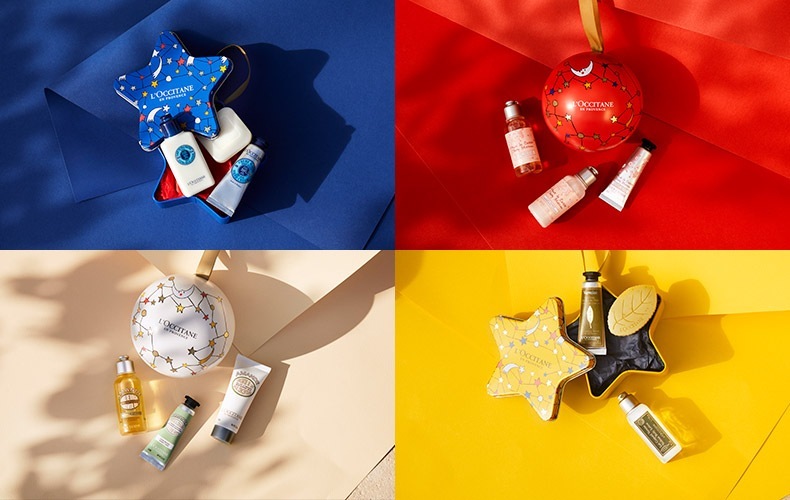 Valid online, in L’OCCITANE Boutiques. Not Valid in L'Occitane Outlets and Wholesale partners. Cannot be combined with any other offer, coupon or discount. No reissue or reimbursement for lost or void voucher. No cash value. No cash back. Not applicable to prior purchases, gift cards, shipping fees or taxes. L'OCCITANE reserves the right to substitute another gift of comparable value. Use code BAUBLE at checkout.